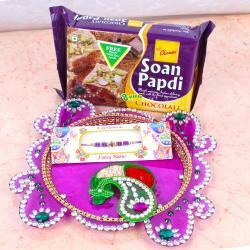 Exclusive Raksha Bandhan Thali,Attractive Rakhi,Home Made Chocolate (Weight : 20 Gm) along with Kumkum Chawal in a container for Tikka. 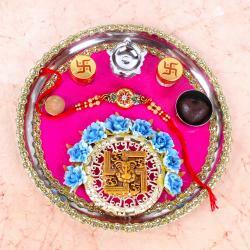 Rakhi Thread with Puja thali for Bhai is the delight shared on the festival of Raksha bandhan. 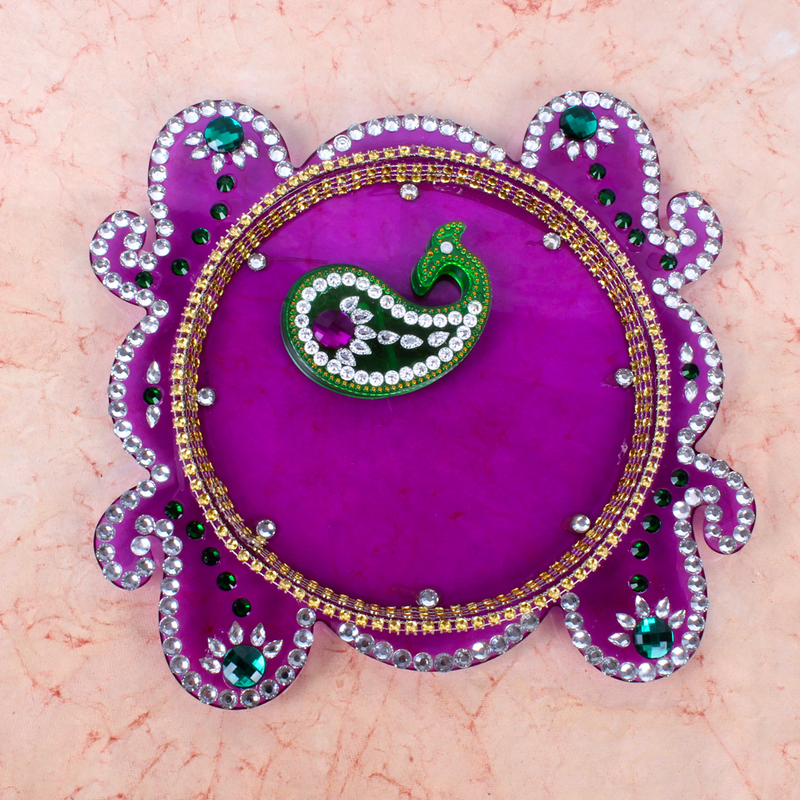 An elegant Rakhi Puja thali that will definitely elate your dear one. 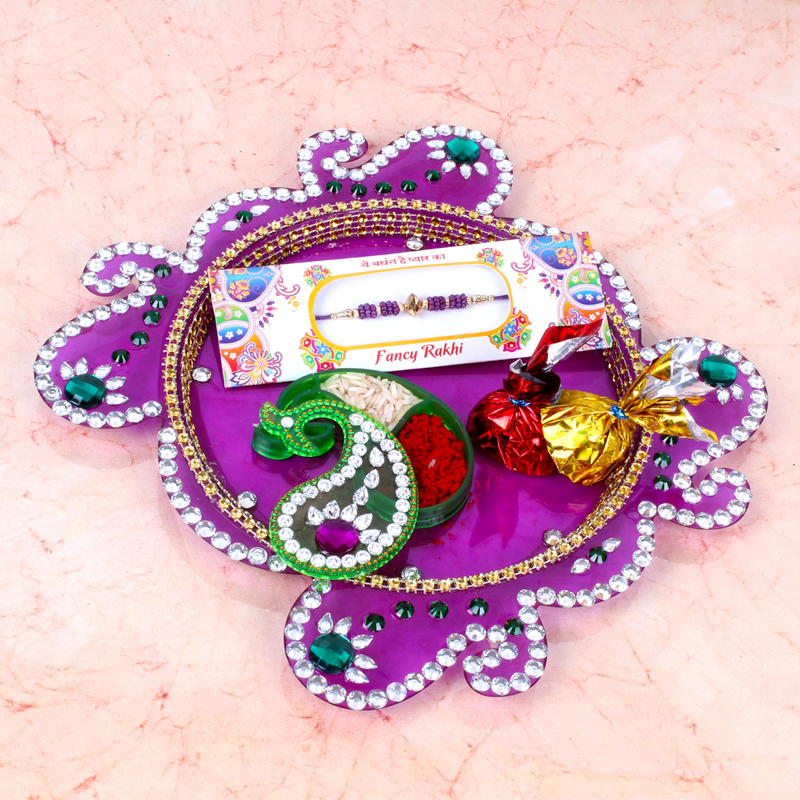 Raksha Bandhan Rakhi thread for Bhai is a bond of protection and all brothers love to wear on his wrist and it is a traditional religious siblings fest they eagerly wait for this day. One of the most special bonds on this planet is the bond shared by a brother and a sister,and one day that lets this bond grow even stronger that is on Raksha Bandhan. So you need a special sweet treat as per his like. No other gift can serve such a sweetness desire than a Chocolate. 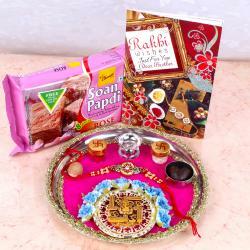 This is an occasion to flourish love,care,affection and sacred feeling of Family rituals. 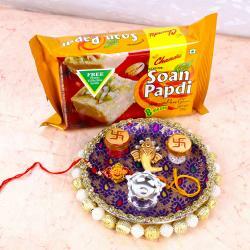 Product Includes : Product Includes : Exclusive Raksha Bandhan Thali,Attractive Rakhi,Home Made Chocolate (Weight : 20 Gm) and Kumkum Chawal in a container for Tikka.